Sometimes something cool falls off. For some time now the 92mm case fan in my girlfriends computer has been loud and obnoxious. I notice it most as it fan undulates in my ear when I sit in my recliner that is next to her computer. Yesterday we both felt we had enough and proceed strait to Altex without passing 'Go' or collecting $200. Altex is generally a little over priced when compared to just about everyone else, but here in Corpus it is about the only place left you can buy a case fan. Their selection is limited as well. Makes me think I should open a Fry's here in Corpus. After standing in the case fan isle for a few minutes I made my decision and went to check out. The nice lady rung up $16.18! Really? Altex also had no selection of rubber washers or case fan silencers (you know those rubber things that go all around the case fan). Then we went to Lowes. The place I knew we could find rubber washers, perhaps not of the perfect size, but at least some thing that could work. Another $5.06 later we were successful. We get home, solder a plug to the Altex fan because apparently a freakin $16 fan can't come with a plug. Then plug it in to realize it spins way to slow to make since. Another look at the cryptic sticker on the fan shows this is a 24volt fan. Why Altex? Why do you even carry 24volt fans? Google [lmgtfy.com] doesn't even know. I hung an 80mm case fan in her case with a single screw while we wait for the one from newegg.com. It's what we should have done in the first place. 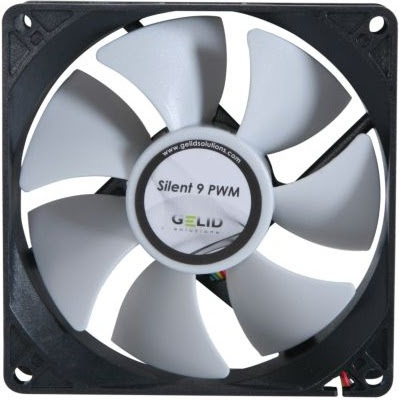 It's one of the best 92mm fans you can buy (opinion alert) on newegg.com, it comes with a 4pin plug, rubber washers, it's 12 volt, and even with shipping it's $2.00 less than Altex. For the record, nothing against Altex. I get it, if I want it now I'm willing to pay a little more. Really my complaint is the voltage. Of course it's my fault for not looking, but who would have thought to even look for that? True I could wire it to make it work, but the computer is a Shuttle and I don't think it would be a good idea to put more strain on it than necessary. I will make a note on whether or not the new fan is worth a flip when we get it. UPDATE Feb 25 - Got the new fan and so far so good. It spins at about 2050RPM and is quiet. The only thing that makes noise in it now is the Power Supply fan, but it's one of those 40mm fans. I hate 40mm fans.